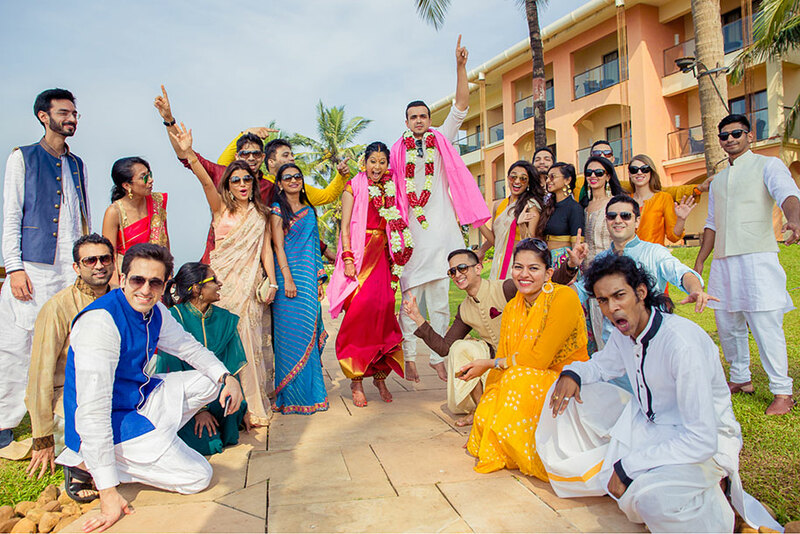 The enchanting environs of the sea-facing Goa Marriott Resort & Spa played host to the wedding celebrations of Saaksha and Karan. 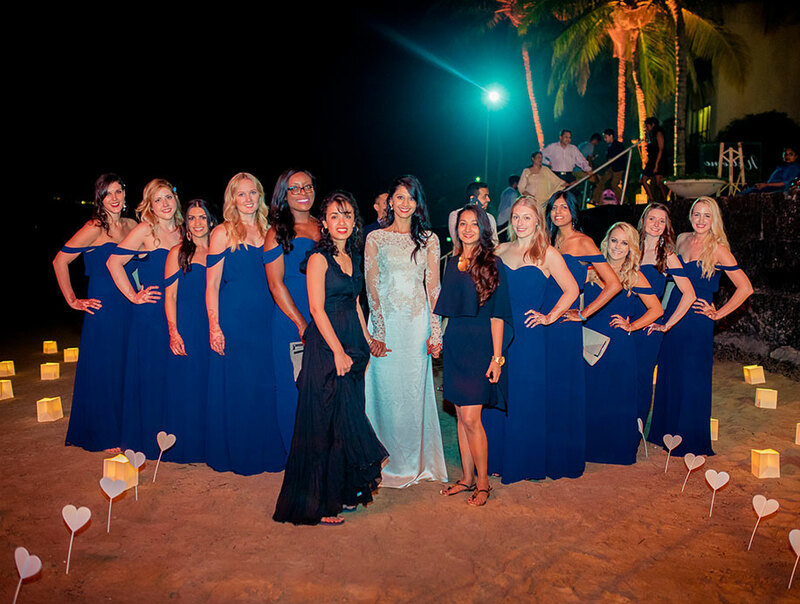 From the beautiful bridal fashions to the fun functions, everything was planned to perfection. 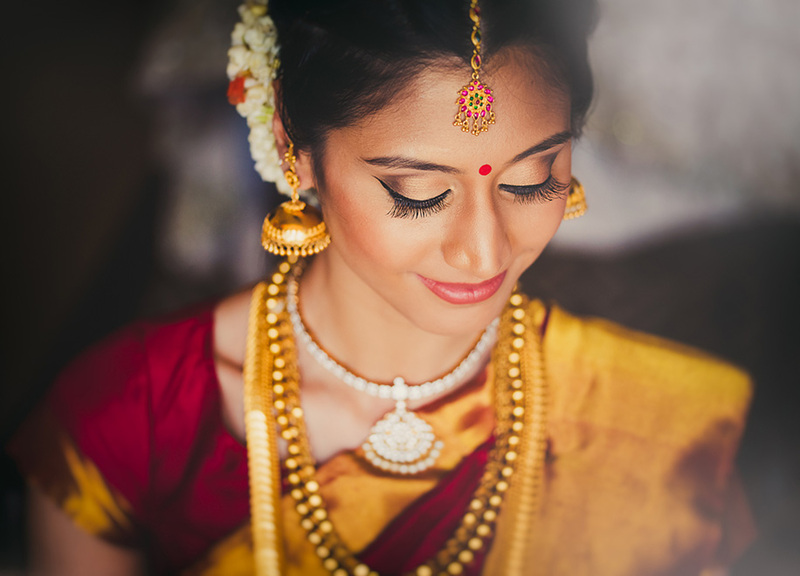 Here bride Saaksha shares more details. 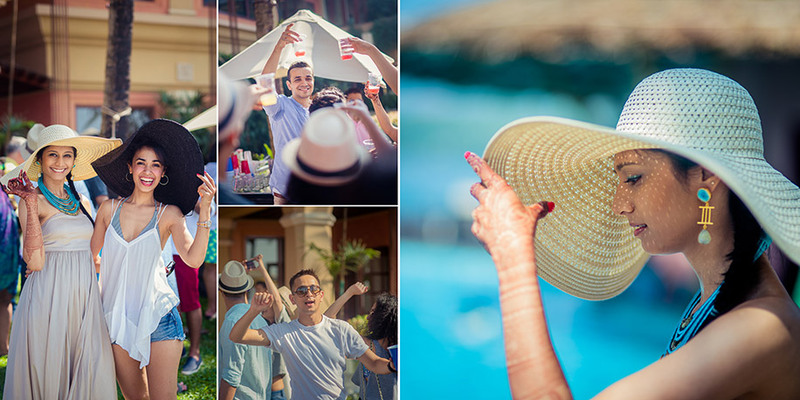 Pool Party“We started our fun-filled wedding festivities with a casual pool party. 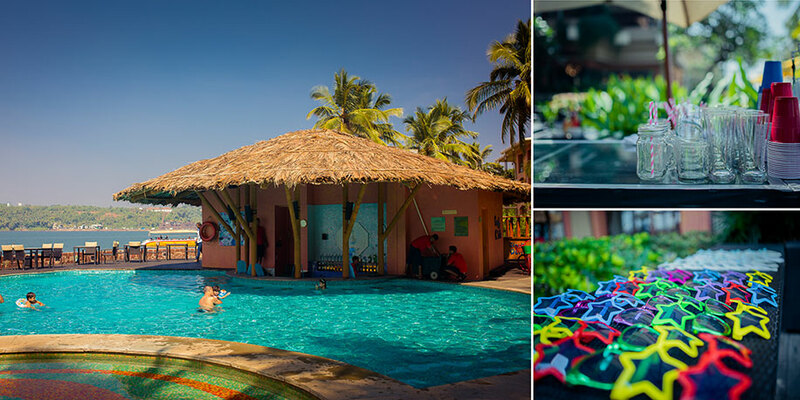 Since most of my friends reside in the UK, it was a perfect occasion for them to get to mingle with my family and cousins while sipping on colorful cocktails.”There were funky neon sunglasses and party bags which contained a piece of childhood memories which guests could open and enjoy. 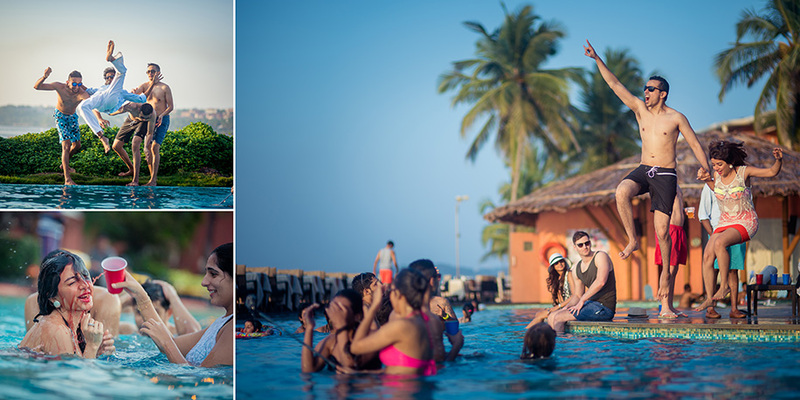 The younger lot dived into the infinity pool and relaxed with sundowners. 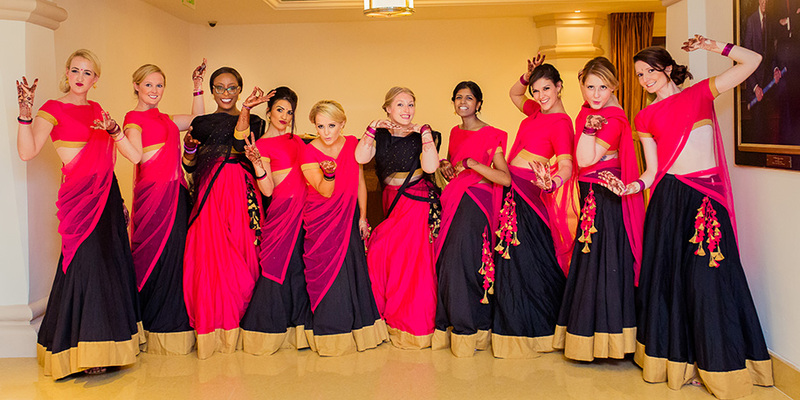 Saaksha’s bridesmaids were all color-coordinated in black lehengas and pink dupattas, or conversely pink lehengas and black dupattas. 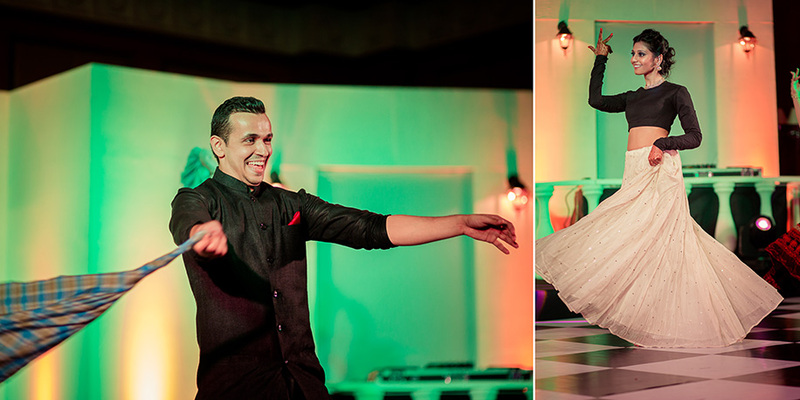 All their lehengas has broad golden borders at the hems and tassels down one side. 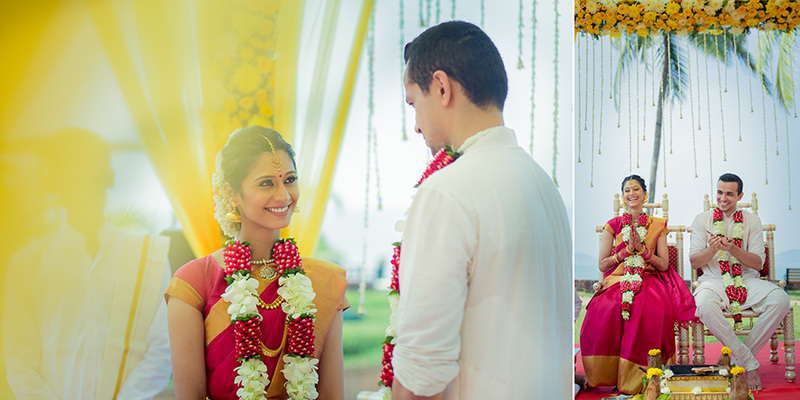 The mandap was on the grassy lawns facing the sea, and was draped in bright yellow fabric along the pillars and on the canopy. 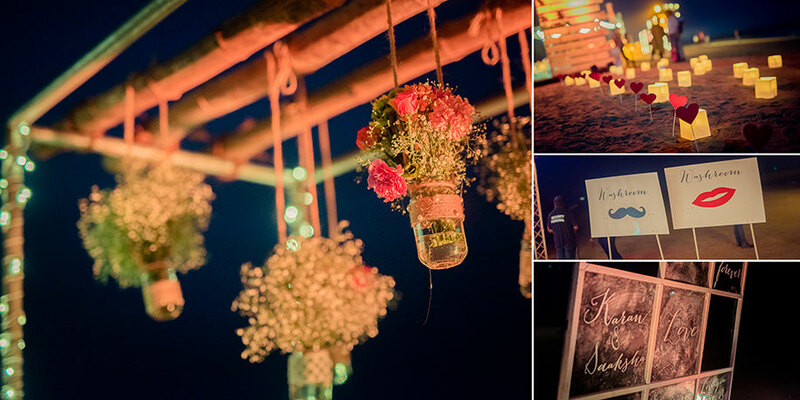 Cheery floral arrangements with yellow, orange and white blooms alongside pretty danglers from the canopy ensured this mandap stood out in its surroundings. 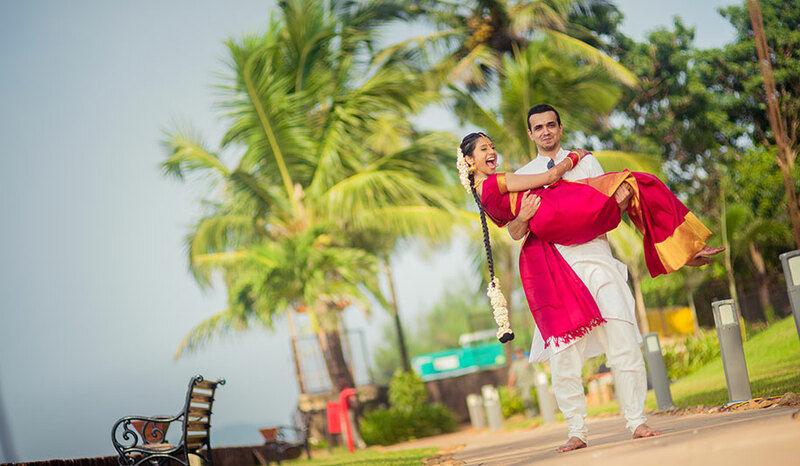 Karan wore a simple off-white kurta pyjama set with a bright pink stole for the traditional wedding ceremony. 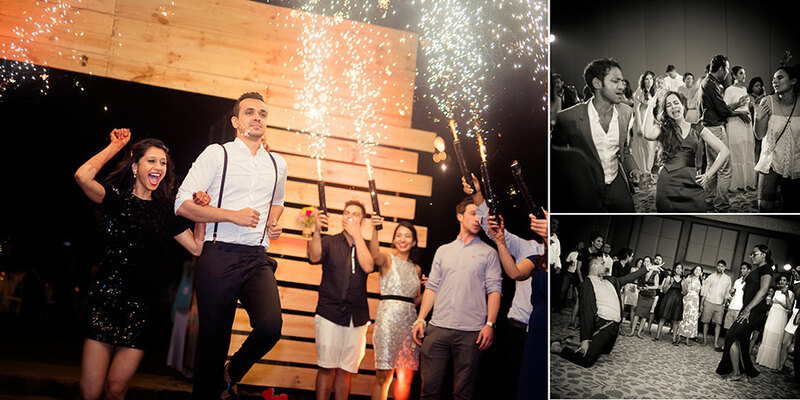 Karan looked dapper in his white shirt, black pants with slim suspenders ensemble at the reception. 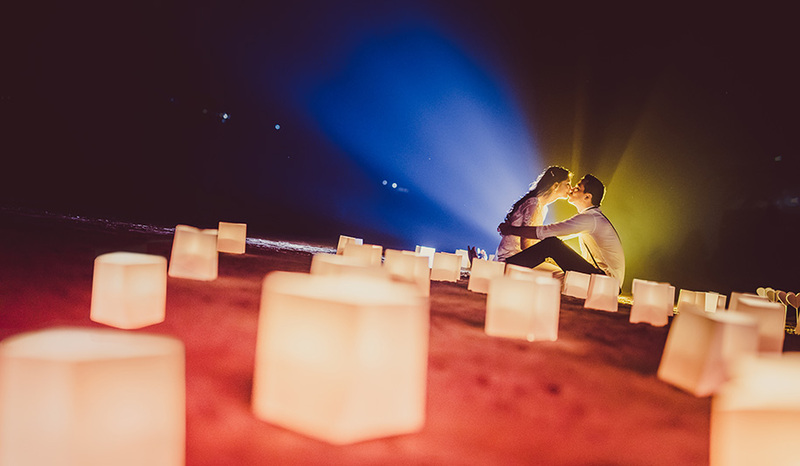 The outdoor evening event saw fireworks light up the sky as couples posed near the romantic photowall, lots of dancing and guests in glamorous evening wear.